The geography block are going to expand. The organizers of the blockade of the railway communication with the occupied territories announced that they would suspend the talks with Prime Minister Vladimir Groisman. “Headquarters says that stops any negotiations with Prime Minister of Ukraine. The headquarters of the blockade, urged the Ukrainian patriots to come to the aid of the garrisons of the redoubts and plans to immediately expand the geography of the blockade, cutting off the last highway, where there are still streams of trading in the blood. The staff declares that it will not end the blockade under any circumstances, until the complete fulfillment of our demands (release of prisoners and the prohibition of trade with the invaders from the state),” notes on the page of the staff on Facebook. For reasons of negotiation called “the unity of the position of Putin, Zakharchenko, Plotnitsky and the highest leadership of Ukraine to respect the blockade. We will remind, on Monday, the leaders of the DNR” and “LNR” Alexander Zakharchenko and Igor Carpenter made a joint statement in which they demand from Ukraine until March 1 to withdraw the transport blockade of Donbass. 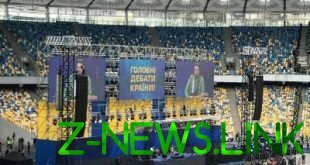 Otherwise they threaten by the introduction of external management at all enterprises of the Ukrainian jurisdiction, working in ORDO, as well as to stop the supply of coal.